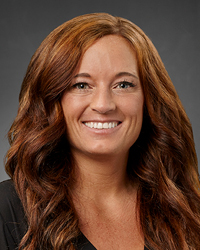 Jamie Meyer, PA-C is a highly skilled physician assistant practicing in the Trauma Care Unit in our Kettering Acute Care Surgery – Trauma Program. Jamie’s education and 12 years’ experience of providing excellent care to all patients makes her uniquely qualified for her role in the Trauma Program. Her commitment to patient care and mirrors the Network’s mission to improve the quality of life of the people in the communities we serve.